Yorkshire Tea will be hosting activations at each of the seven test matches taking place this summer, as part of its official partnership with England Cricket Board. 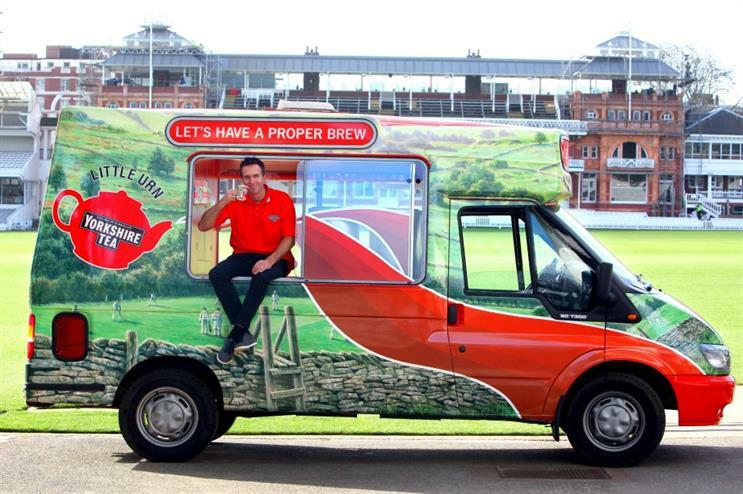 The brand will be taking a converted ice cream van, called 'Little Urn', staffed by Yorkshire Tea head office employees, who will be handing out brews to the crowds. Jody Craddock, brand events co-ordinator at Yorkshire Tea parent company Taylors of Harrogate said: "Our title as the Official Brew of the England cricket team has provided us with a great opportunity to enforce our brand in the cricketing world – after all, it is the only sport that stops for a tea break. It’s given us a great opportunity to talk about the importance of having a proper brew with various audiences in the cricketing world, and this is a relationship we wanted to maintain." Yorkshire Tea will also be hosting games and added extras to engage the crowds during test matches – a game called Brewtime Bingo will give visitors the chance to win a year’s supply of tea at the tea break, alongside 'Teapot Test', an online game giving players a chance to win daily prizes. The band will also be providing its Yorkshire Tea band to entertain visitors, playing versions of classic songs at the tea break for the first three days of each test match. Craddock added that as the brand activates in both soft water and hard water areas, it takes the appropriate tea to make sure that people are getting a proper brew no matter where they live. Yorkshire Tea has been official partner with the ECB for the last three years and signed a further three-year contract at the end of last year. Last year the brand offered a virtual reality experience at the Ashes Test series in which cricket fans could experience three balls from England fast bowler James Anderson.